If successful, Nirmal ‘Nims’ Purja’s goal to climb every 8,000-meter peak in one year would be amongst the greatest feats in mountaineering history. For most mountaineers, summiting a single 8,000-meter peak in any given year is quite an accomplishment. After all, it takes weeks to acclimatize for an ascent of a mountain like Mt. Everest or K2, and climbers generally need time to recover afterward. Some ambitious alpinists may find the time and energy to knock off two or three of those mountains over the course of a year. Very few ever attempt much beyond that. 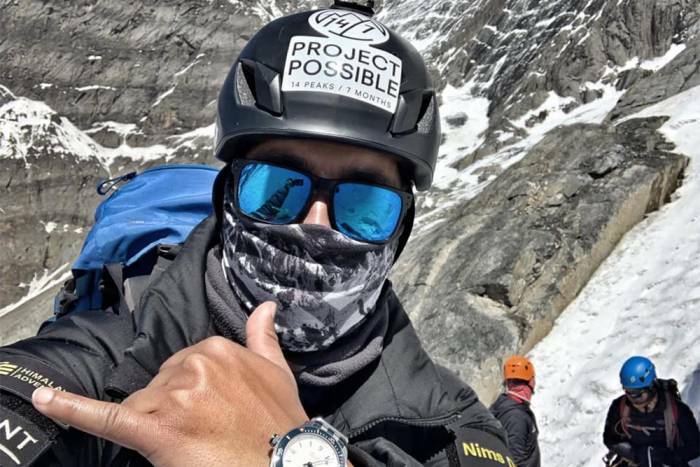 But Nepali climber Nirmal “Nims” Purja has announced plans to summit all 14 of the world’s tallest peaks over a 7-month period. Purja came up with the idea for this ambitious project after setting a record for successive summits in 2017. In May of that year, he managed to climb Everest, Lhotse, and Makalu over a span of just 5 days. He set a speed record in the process. He later added a second summit of Everest for good measure, completing the entire expedition in just 17 days. With that unprecedented success under his belt, the idea behind what he calls Project Possible soon followed. Purja broke the expedition down into three phases based on the geographical location of each of the mountains. Phase 1 will take place this spring in the Himalayan peaks of Nepal. There, he hopes to summit Everest, Lhotse, and Makalu once again. He’ll also add Kangchenjunga, Dhaulagiri, and Annapurna to the lineup this time. If all goes according to plan, he should wrap up this first stage by the end of May. Then in June, he plans to travel to Pakistan, where he’ll attempt five more 8,000-meter peaks. That list includes K2, Nanga Parbat, Broad Peak, and Gasherbrum 1 and 2. If he manages to stay on schedule, Purja will finish Phase 2 by the beginning of August. He will then move on to Phase 3 in Tibet by September. In the fall, he’ll turn his attention to Manaslu, Shishapangma, and Cho Oyu, with an eye on finishing the entire project by early November. Current Record for 8,000-Meter Peaks? Almost 8 Years! To put things into perspective, Korean alpinist Kim Chang-ho holds the current record for climbing all 14 of these mountains. He completed his quest to summit all of the 8,000-meter peaks back in 2013, clocking a time of 7 years, 10 months, 6 days. The previous record before that was held by Polish mountaineering legend Jerzy Kukuczka. In 1987, he achieved the same feat in 7 years, 11 months, 14 days. To pull off this massive undertaking, Purja will not only need plenty of skill and endurance but also a healthy dose of luck. In addition to staying healthy and injury-free, he’ll require a bit of cooperation from Mother Nature. Proper weather windows play a significant factor as to whether or not a climber can reach the summit, even during prime climbing seasons. 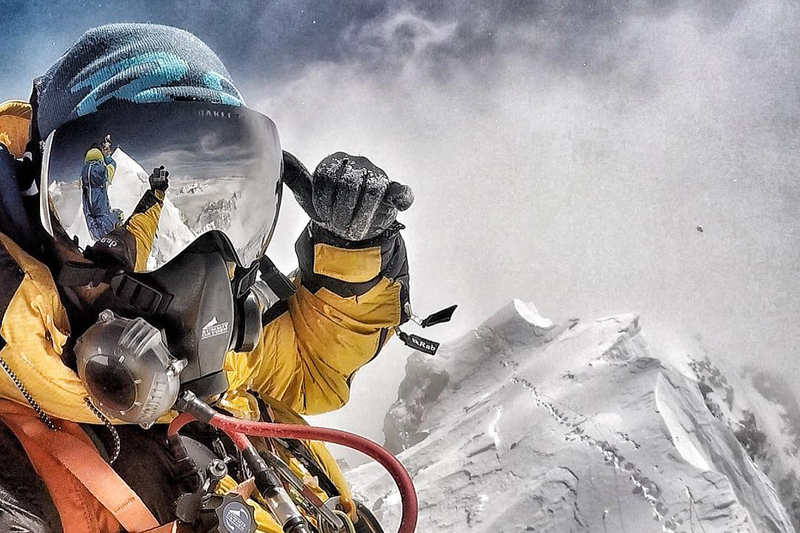 An unexpected storm or dangerous avalanche conditions could cause him to miss an opportunity to reach the top of any one of these mountains, potentially disrupting his entire schedule. Beyond that, however, the simple wear and tear that successive high-altitude climbs have on the body will play a significant role in whether or not Purja succeeds. Staying in the so-called “death zone” above 8,000 meters for too long can create extreme fatigue and muscle deterioration. This often requires an alpinist to take time off to recover following a successful climb. That recovery time will be severely limited with each phase of the project scheduled so close to one another. As the weeks and months roll by, that could have a significant impact on his health. Those challenges aren’t stopping Purja from moving ahead with Project Possible. The spring climbing season has barely begun, and he is already in base camp on Annapurna. Unsurprisingly, that mountain is the first on his hit list as he looks to acclimatize quickly and nab one of the most difficult peaks of the entire lineup early on. Climbers widely view Annapurna as the most dangerous of all of the eight-thousanders due to its extremely high risk of avalanches. Hopeful climbers strategize by arriving early at Annapurna. This gives alpinists the chance to go for the summit before the warmer spring weather begins to thaw the mountain. If that plan pays off for Purja, he’ll also be well-acclimatized to take on the other five peaks that define Phase 1 of his expedition. Purja’s goal with Project Possible isn’t just about climbing big mountains. He’s also using this platform to raise funds and awareness for various charities in Nepal and the U.K. that support injured military veterans and children in need. He hopes to raise nearly $400,000 through a GoFundMe page to support those efforts. As of now, he is a little over 10 percent of the way to reaching that goal. Purja and his support team have only just gotten settled into Annapurna base camp and are now preparing to make their first foray up the mountain. If you follow his Facebook page, you can get updates on his progress not only on this peak but all of the others, too.